Vitamin D3 is synthesized in the skin during summer under the influence of ultraviolet light of the sun, or it is obtained from food, especially fatty fish. After hydroxylation in the liver into 25-hydroxyvitamin D (25(OH)D) and kidney into 1,25-dihydroxyvitamin D (1,25(OH)2D), the active metabolite can enter the cell, bind to the vitamin D-receptor and subsequently to a responsive gene such as that of calcium binding protein. After transcription and translation the protein is formed, e.g. osteocalcin or calcium binding protein. The calcium binding protein mediates calcium absorption from the gut. The production of 1,25(OH)2D is stimulated by parathyroid hormone (PTH) and decreased by calcium. Risk factors for vitamin D deficiency are premature birth, skin pigmentation, low sunshine exposure, obesity, malabsorption and advanced age. Risk groups are immigrants and the elderly. Vitamin D status is dependent upon sunshine exposure but within Europe, serum 25(OH)D levels are higher in Northern than in Southern European countries. Severe vitamin D deficiency causes rickets or osteomalacia, where the new bone, the osteoid, is not mineralized. Less severe vitamin D deficiency causes an increase of serum PTH leading to bone resorption, osteoporosis and fractures. A negative relationship exists between serum 25(OH)D and serum PTH. The threshold of serum 25(OH)D, where serum PTH starts to rise is about 75nmol/l according to most surveys. Vitamin D supplementation to vitamin D-deficient elderly suppresses serum PTH, increases bone mineral density and may decrease fracture incidence especially in nursing home residents. The effects of 1,25(OH)2D and the vitamin D receptor have been investigated in patients with genetic defects of vitamin D metabolism and in knock-out mouse models. These experiments have demonstrated that for active calcium absorption, longitudinal bone growth and the activity of osteoblasts and osteoclasts both 1,25(OH)2D and the vitamin D receptor are essential. On the other side, bone mineralization can occur by high ambient calcium concentration, so by high doses of oral calcium or calcium infusion. The active metabolite 1,25(OH)2D has its effects through the vitamin D receptor leading to gene expression, e.g. the calcium binding protein or osteocalcin or through a plasma membrane receptor and second messengers such as cyclic AMP. The latter responses are very rapid and include the effects on the pancreas, vascular smooth muscle and monocytes. Muscle cells contain vitamin D receptor and several studies have demonstrated that serum 25(OH)D is related to physical performance. The active metabolite 1,25(OH)2D has an antiproliferative effect and downregulates inflammatory markers. Extrarenal synthesis of 1,25(OH)2D occurs under the influence of cytokines and is important for the paracrine regulation of cell differentiation and function. This may explain that vitamin D deficiency can play a role in the pathogenesis of auto-immune diseases such as multiple sclerosis and diabetes type 1, and cancer. In conclusion, the active metabolite 1,25(OH)2D has pleiotropic effects through the vitamin D receptor and vitamin D responsive elements of many genes and on the other side rapid non-genomic effects through a membrane receptor and second messengers. Active calcium absorption from the gut depends on adequate formation of 1,25(OH)2D and an intact vitamin D receptor. Bone mineralization mainly depends on ambient calcium concentration. Vitamin D metabolites may play a role in the prevention of auto-immune disease and cancer. Testerink J, Jaspers RT, Rittweger J, de Haan A, Degens H.
Institute for Biomedical Research into Human Movement and Health, Manchester Metropolitan University, John Dalton Building, Oxford Road, Manchester, M5 1GD, UK. Supra-physiological levels of vitamin D induce skeletal muscle atrophy, which may be particularly detrimental in already sarcopaenic elderly. Neither the cause nor whether the atrophy is fibre type specific are known. To obtain supraphysiological levels of circulating vitamin D (1,25(OH)(2)D(3)) 27.5-month-old female Fischer(344) × Brown Norway F1 rats were orally treated for 6 weeks with vehicle or the vitamin D analogue alfacalcidol. Alfacalcidol treatment induced a 22% decrease in body mass and 17% muscle atrophy. Fibre atrophy was restricted to type IIb fibres in the low-oxidative part of the gastrocnemius medialis only (-22%; P < 0.05). There was a concomitant 1.6-fold increase in mRNA expression of the ubiquitin ligase MuRF-1 (P < 0.001), whereas those of insulin-like growth factor 1 and myostatin were not affected. Circulating IL-6 was unaltered, but leptin and adiponectin were decreased (-39%) and increased (64%), respectively. The treated rats also exhibited a reduced food intake. In conclusion, supraphysiological levels of circulating 1,25(OH)(2)D(3) cause preferential atrophy of type IIb fibres, which is associated with an increased expression of MuRF-1 without evidence of systemic inflammation. The atrophy and loss of body mass in the presence of supra-physiological levels of vitamin D are primarily due to a reduced food intake. Vitamin D – an anti-aging supplement? Background: Vitamin D is a potent inhibitor of the proinflammatory response and thereby diminishes turnover of leukocytes. Leukocyte telomere length (LTL) is a predictor of aging-related disease and decreases with each cell cycle and increased inflammation. Objective: The objective of the study was to examine whether vitamin D concentrations would attenuate the rate of telomere attrition in leukocytes, such that higher vitamin D concentrations would be associated with longer LTL. Design: Serum vitamin D concentrations were measured in 2160 women aged 18–79 y (mean age: 49.4) from a large population-based cohort of twins. LTL was measured by using the Southern blot method. Results: Age was negatively correlated with LTL (r = –0.40, P < 0.0001). Serum vitamin D concentrations were positively associated with LTL (r = 0.07, P = 0.0010), and this relation persisted after adjustment for age (r = 0.09, P < 0.0001) and other covariates (age, season of vitamin D measurement, menopausal status, use of hormone replacement therapy, and physical activity; P for trend across tertiles = 0.003). The difference in LTL between the highest and lowest tertiles of vitamin D was 107 base pairs (P = 0.0009), which is equivalent to 5.0 y of telomeric aging. This difference was further accentuated by increased concentrations of C-reactive protein, which is a measure of systemic inflammation. Conclusion: Our findings suggest that higher vitamin D concentrations, which are easily modifiable through nutritional supplementation, are associated with longer LTL, which underscores the potentially beneficial effects of this hormone on aging and age-related diseases. 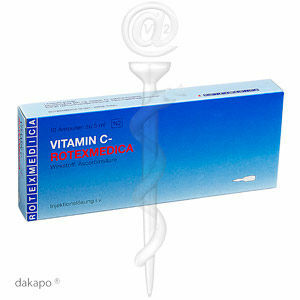 Vitamin C, or ascorbic is acid is a truly wonderful substance. It can work as an anti-oxidant, as pro-oxidant by releasing hydrogen peroxide in the body, it boosts collagen synthesis, lightens skin, fights tumors, diseases, flu’s and so on. Remember when vitamin C was hailed as the best, and maybe only, cold remedy? Then it became the Rodney Dangerfield of vitamins: It didn’t get any respect. The nutrient’s glory days of curing scurvy-riddled sailors via juicy citrus fruit seemed to be the only thing keeping its reputation afloat, particularly after a massive research review found C to be virtually useless for fighting colds. But don’t believe it. The truth is that scientists have taken a fresh look at C—and have found lots of new ways it can help you stay healthy and look and feel younger. Here’s the latest on what C can really do for you. You can’t pick up a beauty product these days without the label touting its antioxidants. There’s a good reason: Antioxidants—like vitamin C—help turn back the clock. An October 2007 study published in the American Journal of Clinical Nutrition found that people who ate foods rich in vitamin C had fewer wrinkles and less age-related dry skin than those whose diets contained only small amounts of the vitamin. C helps form collagen, which smooths fine lines and wrinkles, according to Patricia Farris, MD, clinical assistant professor of dermatology at Tulane University in New Orleans. The key seems to be C’s ability to fight free radicals, a by-product of cell metabolism in your body. Free radicals are thought to attack proteins, fats, and DNA—and break down collagen. C also seems to guard against ultraviolet rays from the sun, which can lead to freckles and a mottled complexion. “Vitamin C does some repair and firming on the skin,” Farris says. What to do now: Use a topical vitamin C treatment daily after you wash your face and before you slather on moisturizer or sunscreen so it penetrates the skin. Farris recommends La Roche-Posay Active C facial moisturizer or SkinCeuticals C E Ferulic topical antioxidant treatment. Experts continue to argue about whether antioxidants like vitamin C can prevent heart disease. But some of the evidence is highly persuasive. When Finnish researchers looked at studies involving nearly 300,000 people over 10 years, they found that taking more than 700 milligrams of C supplements daily reduced the risk of cardiovascular disease by 25 percent. And a recent study from Harvard Uni-versity researchers hints that women who take a combo of 500 milligrams of vitamin C daily and 600 IU of vitamin E (another antioxidant) can cut their risk of stroke by 30 percent. It’s possible that people who take vitamin supplements simply have healthier lifestyles than those who don’t, which could explain this finding. It’s also possible, experts say, that C enhances the functioning of endothelial cells (which line the inside of all blood vessels), slowing artery clogging and lowering blood pressure. A diet full of vitamin C–rich fruits and vegetables isn’t just good for your heart, it may also lower your risks of bladder, esophagus, stomach, and lung cancers. Even though more research is needed to find out which compounds in fruits and veggies do the trick, researchers say the association is strong. Someday, C may also be used to treat cancer. High levels of C given intravenously seem to be toxic to cancer cells (studies on vitamin C taken orally showed no effect on cancerous cells). Intravenous C appears to trigger the formation of hydrogen peroxide, which kills some cancer cells while leaving healthy cells unharmed, says lead study author Mark Levine, MD, chief of the molecular and clinical nutrition section and senior staff physician at the National Institutes of Health. Levine says doctors at the University of Kansas Medical School and Jefferson Medical College in Philadelphia are trying this therapy on cancer patients. What to do now: “Strive for five or more fruits and vegetables daily, in a rainbow of colors,” Levine says. “It’s where the most benefit is. What to do now: Try taking C and E supplements, and talk to your doc about your risks for Alzheimer’s and dementia. Vitamin C can’t prevent the need for reading glasses around age 45. But anti-oxidants, including C, help prevent one of the leading causes of blindness: age-related macular degeneration (AMD). More than 3.5 million Americans are thought to be in the early stages, and the disease strikes more women than men. A major clinical trial sponsored by the National Eye Institute showed that a daily supplement of 500 milligrams of vitamin C, 400 IU of vitamin E, 15 milligrams of beta-carotene, 80 milligrams of zinc, and 2 milligrams of copper reduced the risk of moderate or severe AMD-related vision loss by up to 25 percent. The antioxidants neutralize damage to the retina caused by, you guessed it, free radicals. You’ve probably heard that green tea boosts the body’s defenses against toxins. That’s important because toxins are thought to contribute to cancer, heart attack, stroke, and lots of other maladies. In fact, one to two cups a day may reduce a woman’s risk of dying by about 20 percent, Japanese researchers say. What’s the vitamin C connection? Citrus juices (lemon, lime, orange) may supercharge the immunity-boosting power of green tea. A new Purdue University study found that mixing citrus juice with green tea allowed 80 percent of the tea’s anti-oxidants to stick around after simulated digestion, making the pairing healthier than thought, says study author Mario G. Ferruzzi, PhD, assistant professor in Purdue’s department of food and nutrition. Spirulina, the green powder from algae, has fantastic nutritional values. Full spectrum of amino-acids, b vitamins, beta carotene, iron, etc. Moreover, it improves endurance and it is anabolic too! Isn’t it wonderful? Purpose: Spirulina is a popular nutritional supplement that is accompanied by claims for antioxidant and performance-enhancing effects. Therefore, the aim of the present study was to examine the effect of spirulina supplementation on (i) exercise performance, (ii) substrate metabolism, and (iii) blood redox status both at rest and after exercise. Methods: Nine moderately trained males took part in a double-blind, placebo-controlled, counterbalanced crossover study. Each subject received either spirulina (6 g·d−1) or placebo for 4 wk. Each subject ran on a treadmill at an intensity corresponding to 70%-75% of their V˙O2max for 2 h and then at 95% V˙O2max to exhaustion. Exercise performance and respiratory quotient during exercise were measured after both placebo and spirulina supplementation. Blood samples were drawn before, immediately after, and at 1, 24, and 48 h after exercise. Reduced glutathione (GSH), oxidized glutathione (GSSG), GSH/GSSG, thiobarbituric acid-reactive substances (TBARS), protein carbonyls, catalase activity, and total antioxidant capacity (TAC) were determined. Results: Time to fatigue after the 2-h run was significantly longer after spirulina supplementation (2.05 ± 0.68 vs 2.70 ± 0.79 min). Ingestion of spirulina significantly decreased carbohydrate oxidation rate by 10.3% and increased fat oxidation rate by 10.9% during the 2-h run compared with the placebo trial. GSH levels were higher after the spirulina supplementation compared with placebo at rest and 24 h after exercise. TBARS levels increased after exercise after placebo but not after spirulina supplementation. Protein carbonyls, catalase, and TAC levels increased similarly immediately after and 1 h after exercise in both groups. Conclusions: Spirulina supplementation induced a significant increase in exercise performance, fat oxidation, and GSH concentration and attenuated the exercise-induced increase in lipid peroxidation.